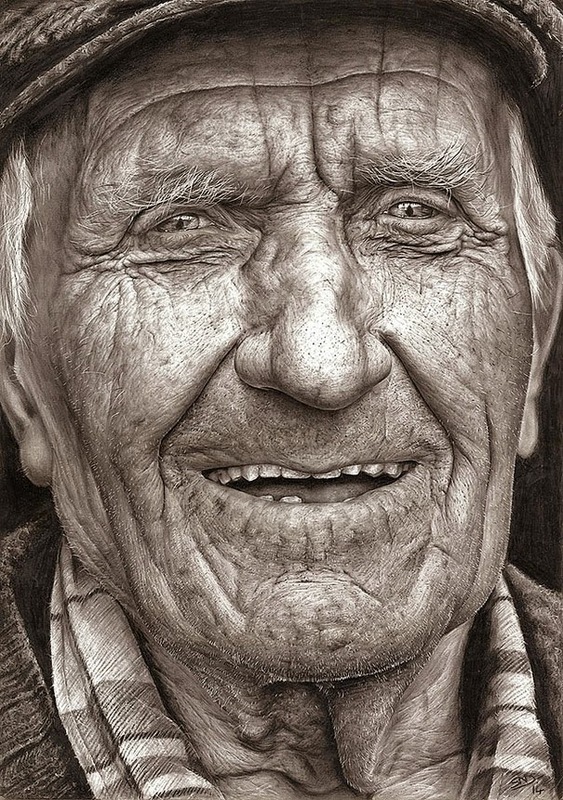 Texaco Children’s Art is an art competition that this year was won by this impressive hyper-realistic pencil drawing of an old man by 16-year-old artist Shania McDonagh. 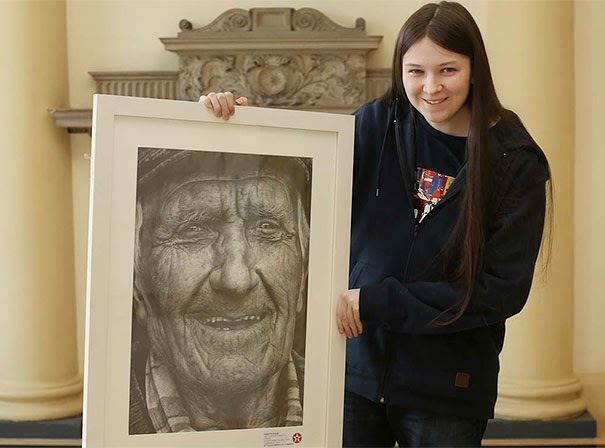 She drew the portrait from a photograph she found in the Vanishing Ireland book and has won the top prize for her age category every year since she was 12. “One of the most talented artists of her generation, and one whose skill could see her become one of Ireland’s foremost portrait artists of the future.” Declan McGonagle, director of the National College of Art and Design.